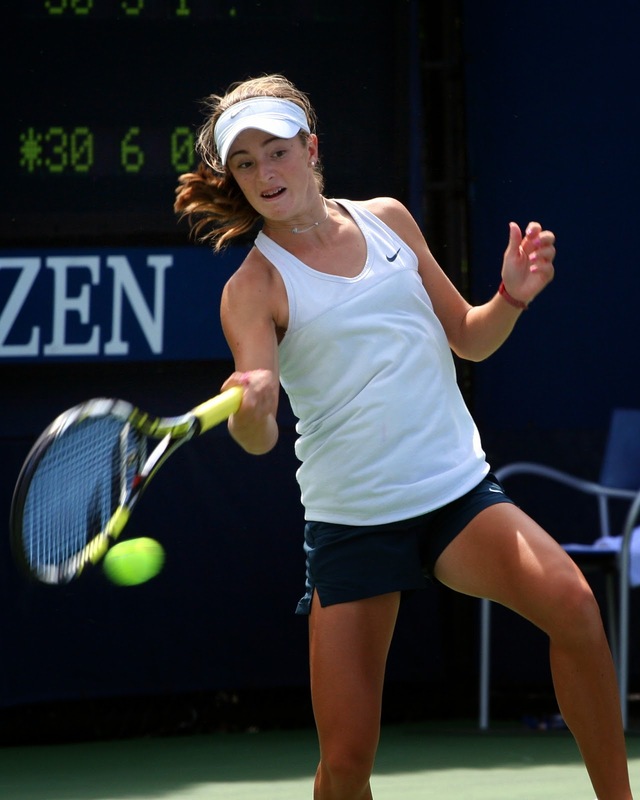 Home bellis tennis CiCi Bellis: Future Tennis Superstar? The week started with cold and gusty conditions, but ended in bright sunshine. However, while the weather in Carson might have been rather inconsistent through the week, the performances of Catherine Cartan Bellis never varied. The 14-year old American started the week with a 6-1, 6-2 victory over Madison Appel and finished the week with a 6-3, 6-0 victory over Raveena Kingsley and rarely looked troubled during the intervening period. At just 14-years old, it gave her the biggest title of her career thus far – the U18 International Spring Championships. It was her second Grade 1 junior title of the season after she lifted the 50th edition of the Grade 1 Coffee Bowl in Costa Rica back in January and propelled her into the top 40 of the junior rankings. A short drive inland for Bellis, another week and another title at one of her favourite tournament. Two years ago, she reached the final of the U14 tournament at the age of 13, last year, she won the U16 tournament having just turned 14. This year, she lifted the U18 title having just turned 15. She was only troubled once during the tournament in a hard fought semi-final against fellow prospect, Sofia Kenin, where she was forced to battle back from 4-2 down in the third set. She still has not lost a junior ITF match in 2014 – 18 wins in 18 matches has propelled her up the junior rankings. Indeed, there are only three players in the top 100 juniors that are aged younger than her. Already though, she has moved into the top 15 of the rankings – her third title of the year at the Easter Bowl has marked her out as a serious contender for junior Grand Slam titles in 2014. Given that the likes of Bencic and Konjuh no longer play junior tennis, her actual seeding will be even higher. She has also started to make strides in the senior tour. In her first tournament in Rancho Santa Fe, she qualified for the main draw, beating a top-700 player in Ching-Wen Hsu, before losing in three sets to Julia Boserup – a player aged eight years older than her and now ranked inside the top-250 in the world following a run to the quarter-final in the WTA event in Monterrey. Proving that was no fluke, she dispatched two top-500 opponents the following week in qualifying for Surprise for the loss of a combined six games – both Ashley Weinhold and Sally Peers beaten by the same 6-2, 6-1 scoreline. Her biggest test came in the first round against the former world number 29, Sofia Arvidsson. Still ranked inside the top-150, the Swede was forced to battle all the way by a player less than half her age, eventually progressing 6-1, 4-6, 6-4. Given a wildcard onto the clay in Orlando, she recorded further impressive wins over Sina Haas and Katerina Kramperova before pushing another top-150 player Aliaksandra Sasnovich in the quarter-final. While her best results have come on the hard courts, she is a player that has the potential to dominate on all surfaces. She grew up playing on clay courts in the Burlingame Country Club in North Carolina, where she used to practice with possibly the greatest clay court player in history, Chrissy Evert. She cruised to the U16 National Clay Court Championships last July without dropping a set just a month after winning the U18 International Grass Court Championships. 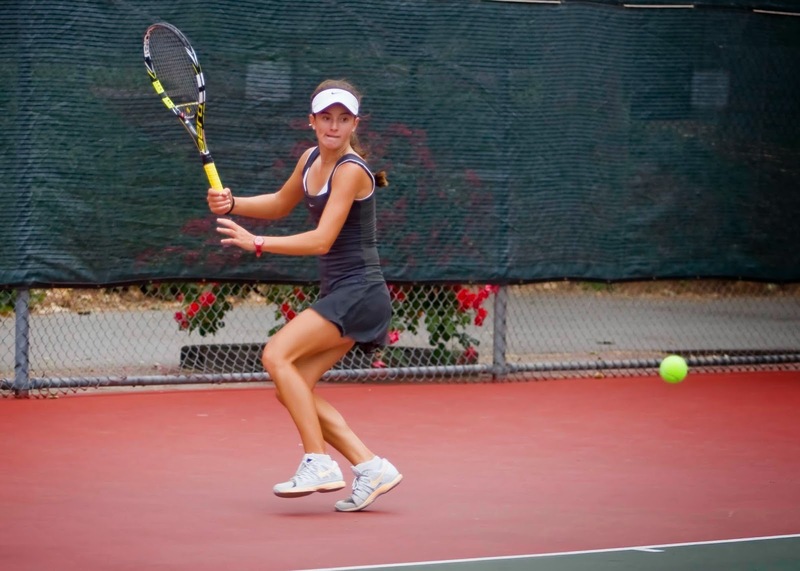 She added a further two Grade 4 ITF titles on hard courts to prove her potential. In an age where players seem to be getting taller and taller, she will be an exception. She will be dwarfed by the likes of the 6`2 Maria Sharapova and 6`0 Victoria Azarenka. She expects to grow to around 5`7, but there are plenty of smaller players that have enjoyed great success. Her movement around the court is a huge attribute – she is lightning fast to the ball and sets herself early. Her defence is top quality already and her forehand is a real threat – she can hit virtually any shot off that wing. She has also gained experience of travelling for major tournaments. Last year, she won back-to-back Category 1 events in Europe in both singles and doubles. In two tournaments containing many of the best U14 players in the world, she dropped just one set in eleven matches in the AEGON International Teen Tennis and Les Petit As. The French title was particularly notable in a tournament previously won by the likes of Kim Clijsters, Martina Hingis and Dinara Safina. This ability to understand what was going wrong and to make changes during the match is a valuable skill and the patience that she needed to pull it off is something that is often lacking for many players. She can hit the forehand very powerfully, but it is a very consistent shot. Rather than simply ball-bashing, she waits for the right moment before unleashing the big shots. Having turned 15 on Tuesday, she is now eligible to play ten senior tournaments in the next 12 months, unless she is able to gain some extra tournaments through the merited increase system. It would be a surprise if she does not compete in the remaining three junior Grand Slam events this year – indeed, she will be one of the favourites to win the US Open, despite being up to three years younger than some of her rivals. It would be no surprise if she picks up a first ITF title in 2014 – it seems a matter of time until she wins either a $10k or $25k event. I would also expect her to be given a wildcard into either the qualifying draw or possibly even the main draw at the WTA Stanford event. She already has a close relationship with the tournament, having grown up in the area, and if she continues these impressive results, it would be a great chance for the tournament to showcase a huge talent. With the American public looking for a potential successor to Serena Williams, a number of players have come and gone as the future of American tennis. The likes of Coco Vandeweghe, Melanie Oudin and Sloane Stephens have all been mentioned as potential stars, but none have quite managed to make that step. It is early days still, but just days after her 15th birthday, there are plenty of signs that CiCi Bellis could be a real contender. Having already pushed top-150 players, it would be a huge surprise if Bellis were not to make the top-100 in the next few years. Could she go even further? I have watched plenty of young players over the years, but very few have shown the potential of Catherine Cartan Bellis.